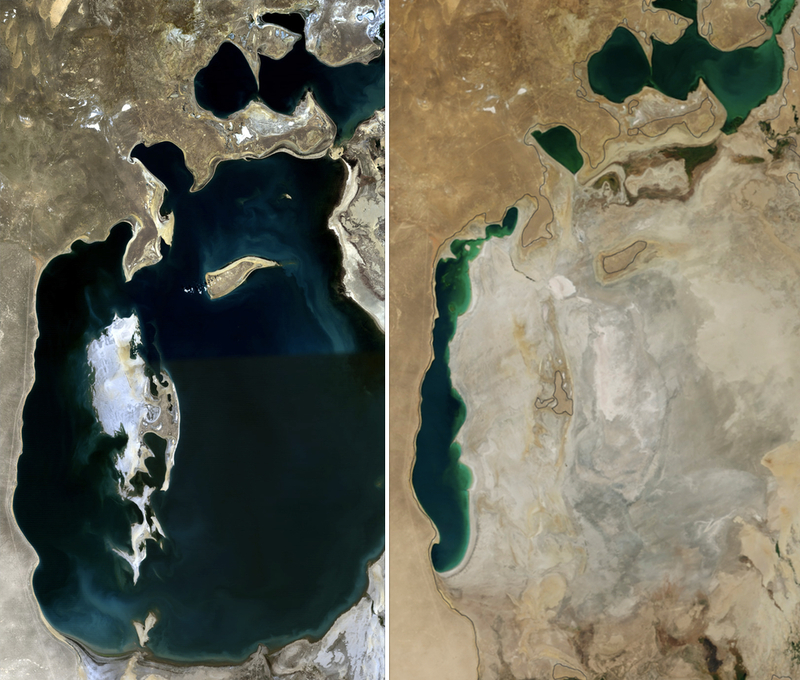 The Aral Sea in Central Asia has dried up. 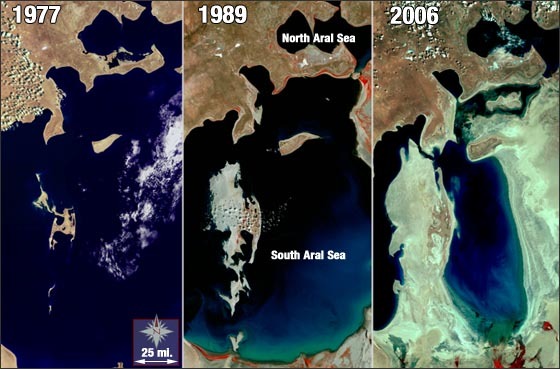 The drying up has been going on for almost 40 years. The lake was a big fishing spot and many of the towns near the coast relied on fish to make a living. This drying happened because of us. The drying up happened because the people diverted the two rivers flowing into the lake. Those rivers were the reason the lake didn’t dry up earlier, but when the people diverted the water to irrigate cotton farms elsewhere, which means that all the water evaporating from the sea wasn’t going to be replaced by the water from the rivers and there was a drought recently which meant that most of the water wasn’t going to get replaced by rain. The effects of this disaster are very bad. The salt left from the sea is blowing into towns nearby. The salt gets on to the grass and because there is a lot of salt, the grass becomes salty. When, livestock eat it they get sick and will most likely die. They towns near the coast have no way of getting fresh fish. Many people lose their job because of the shrinking of the lake. Some towns will have no water.